I’m an Upstate employee, but I’m also a mom. Yesterday I found myself in a predicament all parents face at some point. My 11-year-old daughter went to sleep feeling fine. Pain in her stomach woke her up around 3:15 a.m. She made it to the bathroom in time to throw up. Then she kept throwing up. All morning. All day. She couldn’t even keep water down. Late in the afternoon, she complained that her belly pain was getting worse. I touched her belly, and she said it hurt. We could have gone to our pediatrician’s office. But fearing that we might need an ultrasound of her belly, I opted for the new Upstate Golisano After Hours Care, at the Community General campus. It’s open 4 to 11 p.m. weeknights and noon to 11 p.m. weekends. We arrived a bit after 5:30 p.m., and we were on our way home before 7 p.m. Parking is free, in the attached garage. I filled out paperwork while my daughter watched the fish tank. Then a nurse took her temperature and other vitals and brought us to an examining room. My daughter lay on the table, somewhat teary, while we waited for the doctor. I was impressed when he walked in. 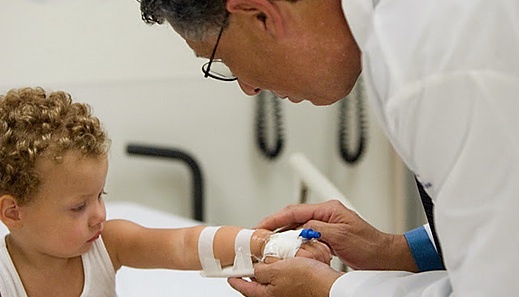 It was Steven Blatt MD, the director of the general pediatrics division at Upstate, one of the region’s top pediatricians, someone who trains the next generation of pediatricians. My daughter was in great hands. As it turned out, she did not need an ultrasound. It was likely a virus that was causing her gastroenteritis. She was to continue drinking small amounts (like, an ounce or two) of see-through liquids such as water, apple juice and ginger ale. The nurse gave her a popsicle as we left. My daughter happily consumed it on the way home — and then vomited it soon after we arrived home. But she was able to sleep through the night that night. And so was I, no longer worried whether the pain was from something more serious than a virus. My daughter is the youngest of three active children. So I’ve visited a variety of hospital emergency rooms and urgent care centers on multiple occasions. Our experience at Upstate Golisano After Hours Care was a positive one, and I’m glad to know it’s an option for kids (from birth to age 21) who become injured or sick after regular business hours. After Hours Care is great for sore throats, ear infections, coughs and rashes, things that you would go to a regular pediatrician’s office for if it was a weekday. They have radiology and laboratory services right there, and they can provide intravenous fluids if necessary. The Pediatric Emergency Department is the appropriate place to go for uncontrolled bleeding, severe difficulty breathing, continual seizures, confusion or delirium. It’s also the place to bring a feverish baby under the age of 3 months, a child who is unresponsive or not breathing, or a child injured in a car wreck or through another significant trauma. (Don’t forget to call 911 for emergencies, by the way.) 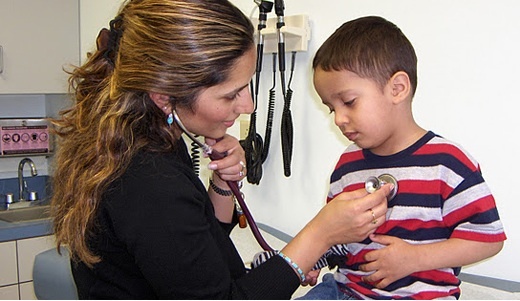 Kids who require sub-specialty care, also, can find it at Upstate’s Pediatric Emergency Department. This entry was posted in community, emergency medicine/trauma, health care, Upstate Golisano Children's Hospital/pediatrics and tagged academic medical center, Golisano hospital, Golisano pediatrics, health care blog, health care social media, hospital blog, hospital social media, medical blog, SUNY, syracuse health care, syracuse hospital, university hospital, upstate medical, upstate university. Bookmark the permalink.